Chic and trendy lace up flat in glittery leather upper. 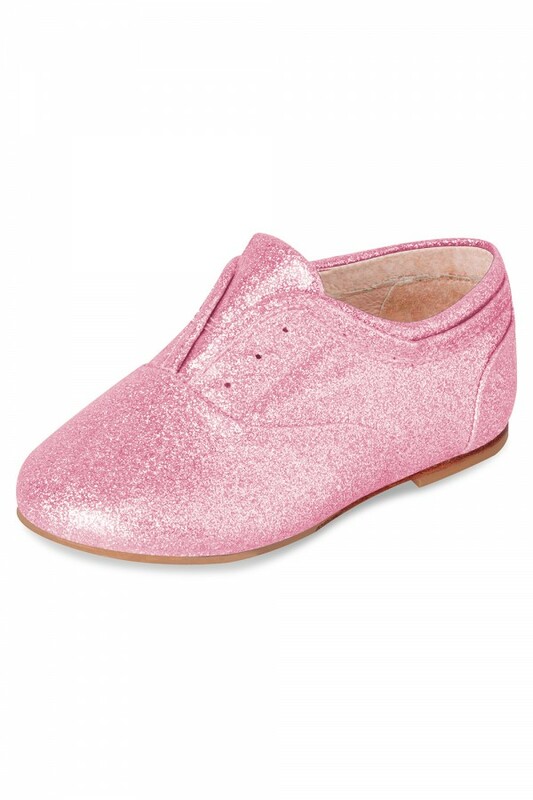 Non-slip rubber inserts on the outsole make this shoe ideal for little ones learning to walk. Soft leather lining and our iconic padded teardrop at the heel offers superior comfort.